Being a member of a society which you’re passionate about provides a great talking point during graduate job interviews and assessment centres – an example which I’ve found potential candidates don’t use enough. 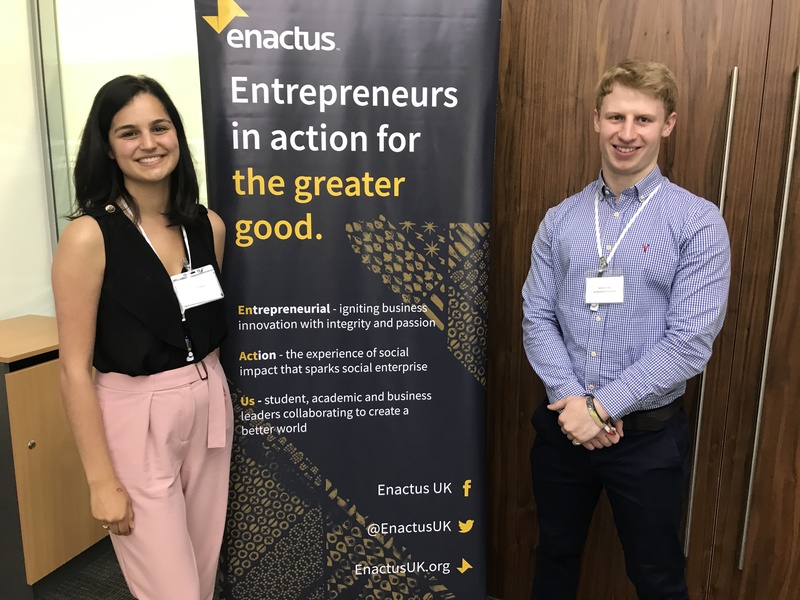 Having a passion and working alongside others who share it, is a great topic to discuss when putting yourself forward for a potential graduate job, internship or placement. For the past few years Enterprise Rent-A-Car has sponsored the Best University Society at the NUE Awards because we want to be part of an event that supports and celebrates the great work universities, employers and students do, on and off campus, to promote employability. Now, unlike some awards, just putting our logo next to the award didn’t cut it. We want to ensure that we are giving back to the societies that take the time to enter. Imagine how effective your recruitment could be at next year’s fresher’s fair with the brand of ‘Best University Society in the UK’!! Who doesn’t want an additional £1000 for their society?! This could help in organising employer events, travel or go towards your marketing for next year’s sign ups. If you make it into the top 10 societies, your team will get the opportunity to present in front of senior leaders at Enterprise, telling them why you should win! How many students can put that on their application form or CV? This would be a great answer in any interview around, teamwork, leadership, communications, sales or in fact any competency question you might be asked. At our judging day you will get to interact with societies from across the UK. This means you’ll get to share best practice and build up your network. Not only that but you will also gain employability skills and get the lowdown on what graduate recruiters look for in an interview process. 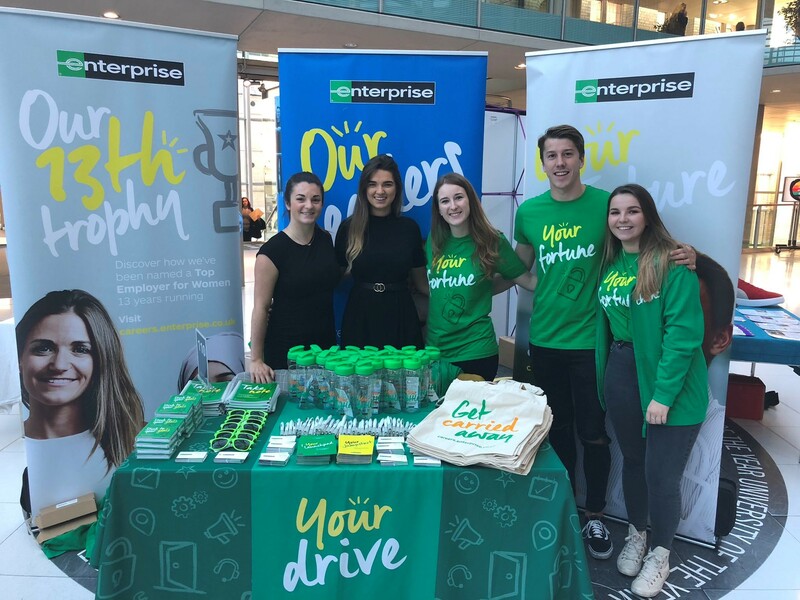 You could find yourself a placement or internship at Enterprise with all of our branch and head office roles now open! Ultimately if your society works with your members to encourage employability, gain work experience and network with employers, we definitely want to hear about it. So make sure you also shout about it. 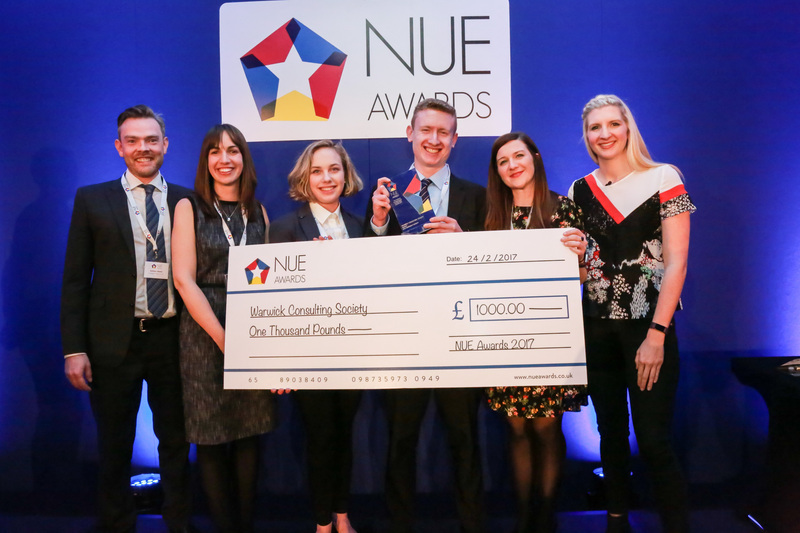 Enter today by visiting the NUE Awards website and nominating your university society.